With ever-increasing pressure on doctors’ time, other methods are needed to understand patients’ motivations and behaviours with regard to medicines adherence and healthy lifestyle changes. Creating patient personas from large data sets can help solve this issue and guide improvements that will be effective, says John Pagliuca. One of former US Surgeon General, C Everett Koop’s, best-known quotations is: “Drugs don’t work in patients who don’t take them.” The message is clear: if patients aren’t taking their medications as prescribed, clinicians and life sciences organisations should work to discover why that is true and what they can do to motivate a change in behaviour. Unfortunately today, when physicians are expected to spend 15 minutes or less with each patient, they don’t have the time to get to know their patients at that level and develop a deeper relationship. With the World Health Organization (WHO) predicting a global shortage of 12.9 million healthcare workers by 2035, this situation is only expected to worsen. There is another way to develop a deeper understanding of patient challenges and motivations without depending solely on in-depth, one-on-one encounters, however. Behavioural analytics can pull big data from multiple sources, build personas that represent large cohorts of patients who share similar characteristics or attributes, and then share them with physicians. These patient personas can help life sciences organisations understand these groups in the aggregate so they can develop programmes that encourage compliance. This same framework can also be applied to determine the propensity for certain conditions to manifest themselves in a given area or among a particular group, offering guidance to commercial effectiveness teams on where to concentrate their efforts to maximise financial performance. The personas concept has been used in other industries, such as consumer packaged goods, for years. These generally incorporate a broad swathe of data, such as geographic/postal code, socioeconomic status, estimated income, age group, gender, ethnicity, and other factors, to guide product placement and quantities. In healthcare, building personas is more complicated. Healthcare analytics typically rely on only two sources: claims and clinical data. Both are readily available, but they only provide a limited view of who the patients and members are, and little about their actions or what motivates them. To gain that understanding, the analytics must also bring in that socioeconomic and behavioural data to create a holistic, 360-degree view of the patients. This more complete view helps improve understanding of the factors and influences that can affect engagement and, hence, where to encourage patients to become involved in their own care, as well as which products should be the focus of discussions with healthcare professionals. One of the most significant examples is the effect of postal codes on outcomes. People who live in a particular area tend to have similar levels of income and education, two key factors in predicting whether a patient will adhere to a particular plan of care, such as taking medications. Those in lower-income areas may not have the disposable income to pay $500 per month for medications, no matter how badly they are needed. They are unlikely to adhere to the regimen and, thus, will not have the desired outcomes. For commercial effectiveness teams with a lower-cost alternative at their disposal, this situation represents an opportunity to gain market share by offering an option to physicians that will solve a problem for them. It also helps them avoid selling a product that will not perform as expected. Postal code data can show factors such as the density of fast-food restaurants in relation to organic food sellers, which details the challenges some may face when trying to eat healthier meals. Credit card information can show whether a patient has a membership at a gym, participates in 5K races or subscribes to outdoors magazines – all possible indicators of how likely they will be to act on exercise advice. In short, patient personas can provide a distinct advantage anywhere there is a statistically large enough group of people for whom a detailed, 360-degree view of information can be obtained. Socioeconomic, psychographic, gender, healthcare utilisation, and many other types of data can generally be acquired through partnerships (such as those between payers and life sciences organisations), or by purchasing them. Attitudinal data, which plays a large part in predicting a course of action that improves outcomes, can be more challenging. For example, some people don’t like to go to their primary care physician (PCP) because they fear bad news. That type of data isn’t available through typical sources. Gathering it often requires participants to answer survey questions. Yet this is often an unreliable source. Take the simple example of a survey of New Year’s resolutions. Data gathered from this survey may indicate that half of those surveyed plan to lose at least 20 pounds by eating less and exercising more. But if you measured their results at the end of the year, it is likely that the number who reached that goal fell far short of the total. Still, gathering attitudinal information through surveys and a basic understanding of the social fabric can at least begin to factor into decisions – especially if the answers can be tied to other behaviours, such as the parents of asthma patients filling prescriptions. This information can help determine the patient’s ‘impactability’ and, especially, ‘intervenability’. Impactability is the likelihood that a particular intervention or plan of care will reduce risk and improve outcomes. Intervenability is the likelihood that the patient will follow that plan. 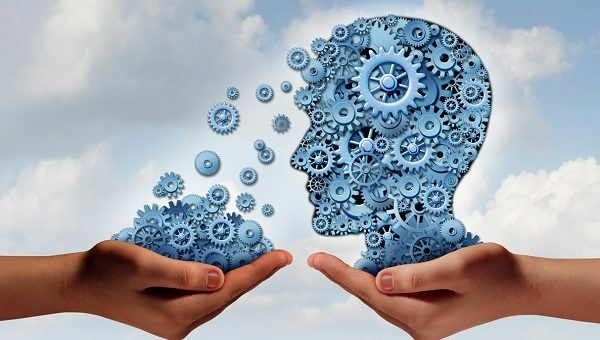 With sufficient behavioural data to create a 360-degree view for these personas, and the proper algorithms, both factors can be assigned a risk score that helps healthcare and life sciences organisations work together to determine how best to help each patient. It can also help them determine where to assign their human and financial resources to maximise ROI. Once all the required sources of data have been acquired and normalised so that they can be used within the behavioural analytics application, the data can be analysed to bring out the facts that are most important – the data that binds certain groups of people together, as well as the factors that separate them. The goal is to ensure the similarities within the group are as close as possible, while the differences between each group are distinct. This type of analysis involves going beyond traditional demographic age breaks to determine which factors are most important to the behaviours of each group. For example, a typical demographic age range could show one group that is 18-35, a second that is 36-49, and a third that is 50-64. Yet the analysis for these groupings may show little change in behaviours or attitudes between the second and third groups. In that case, it makes more sense to view them as a single entity and then base their personas on other factors where the differences are greater, such as their risk level, highest education level achieved and/or estimated income. Whatever technical form of analytics is used, the key is to ensure that each persona presents an intelligent, cohesive view of all those within it, while remaining distinct from other personas. In other words, build them so that each individual is only a proper fit in a single persona. If too many fit into more than one persona, the programme requires more work. One way this technology can be used is in developing patient personas that classify undiagnosed diabetics, and then compare behavioural information across the nation to determine the best markets to target in order to increase sales of diabetic treatments. Sharing this information not only helps boost revenue, it also provides a value-add from the pharmaceutical company to the providers. This allows all parties to work towards the mutual goal of bringing uncontrolled diabetics under control in shared-risk arrangements. The one caveat to keep in mind is that personas are not set in stone. As organisations gather more data and learn more about what works and what doesn’t, they must constantly refine their current personas, add new ones, or remove existing ones if needed, and move members within them to ensure the most accurate 360-degree view. The more organisations understand about who the patients are, what their needs are, and what motivates them, the better positioned they will be to deliver meaningful help to physicians while realising greater ROI. Personas that offer a 360-degree view based on behavioural analytics are the key to making that happen in an ever-more-time-challenged world. 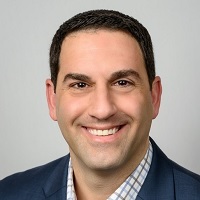 John Pagliuca is Vice President, Life Sciences at SCIO Health Analytics, where he leads the commercialisation of SCIO’s SaaS solution suite and advanced analytics in the US market. He has more than 15 years of sales, marketing and technology experience, with particular expertise in quantitative analytics and SaaS solutions for life sciences.